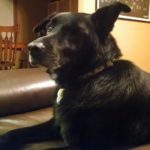 Are you planning to adopt a dog in 2017? 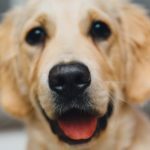 Just like when choosing a breeder, it is important to choose a reputable rescue or shelter facility from which to adopt your new family member. Unfortunately, with the proliferation of online advertising and the trend towards foster-based animal rescues, scam artists exist that try to take advantage of unsuspecting adopters. Listed here are tips for how to choose a rescue or shelter when adopting a dog. 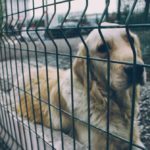 Never agree to adopt a dog without being able to meet him or her beforehand. As crazy as it may seem, a non-reputable rescue may try and talk you into adopting the dog, sight unseen. If you have resident animals, expect to be able to introduce them to the potential adoptee before signing any agreements. The average adoption price for a dog from a rescue or shelter is $75 – $125, but may be lower or higher. This cost often reflects full vetting, spay/neuter surgery, microchipping, vaccinations, and the cost of care, such as food. If the price seems exorbitant, make sure you know exactly how the funds are being used before you choose a rescue. 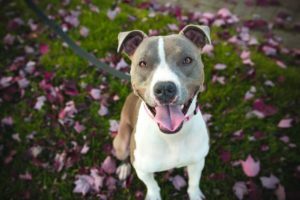 While a rescue or shelter can still be reputable without nonprofit status, an organization that is a recognized nonprofit is far less likely to be a scam. To gain this title, the facility needs to adhere to strict bylaws and rules, and use its money in a specified manner. Additionally, any money you give to a 501(c)(3) rescue can be written off the next time you file taxes. You should be wary of any organization that outright allows you to take home a pet, without any application process. The rescue/shelter should have the best interest of the animal in mind, and thoughtfully weigh the suitability of each applicant. When you choose a rescue or shelter, avoid any organization that does not communicate well with potential adopters. While many rescue owners are well-meaning, for many this endeavor may be a hobby or part-time job. If phone calls go unanswered or take multiple days to be returned, be wary. While rare, the worst case scenario is that you will have to return the dog for an unforeseen circumstance, such as aggression to/from the resident animal, but not be able to get a hold of a representative. When looking for the best place from which to adopt your dog, ask for references and expect to be asked for yours. Never adopt from an organization that is unknown to canine professionals within your community. Additionally, be wary of a rescue or shelter that is not interested in following up with your personal references, as this may be a sign of dog flippers. Have you found a multitude of reputable organizations? If so, focus on finding the dog – not the shelter – that fits your needs. 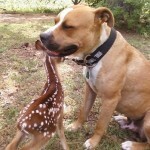 You can find a list of adoptable dogs in your area on websites such as PetFinder and Adopt-A-Pet.